What if Jesus didn’t die so our lives could look perfect? What if He died so we could stop feeling like our lives have to be perfect to mean something? What if we simply live out our own story, even if it doesn’t look as others say it should? Mandy Steward set out in pursuit of these what-ifs. She didn’t find answers so much as she discovered a messy grace that knows no limits and a God that was and is willing to thrash about with her no matter her questions or struggles or doubts. What she found was abundant life, but it didn’t look like she thought it was going to. It was far different, and much deeper. 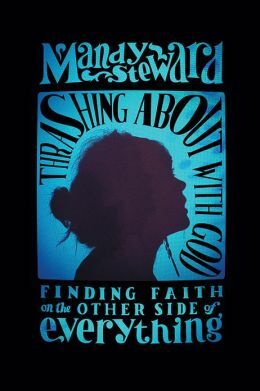 This is a book without “easy” answers that lets those struggling with faith and searching for more know they are not alone.